When do the stakeholders need the data? Refining the data enables delivering specifically tailored information on the right level: at an operational level in real time, at governance level during ‘process alive’ time, or at a tactical level when looking back in time. Each level of information is tailored for a set of stakeholders, delivering them the information at the time when it is needed. What data should be included in order to support the stakeholder needs? Modeling this data is therefore an essential part of the design of a business process. Delivering the right data to the right stakeholder is a bit like a refinery process; some information is directly available from the process, some information needs more effort to produce. Process definition data: This data steers the execution path of the process. What activities should be done, what route the process should take at a certain junction, who is a certain activity assigned to, what timers exist in the process, and what events are triggered. This information is directly related to the process execution data – what happens to the process at execution time. Content data is the data travelling through the process. It moves from activity to activity, where it can be used to expose data to end-users or provide systems with new information. The process obtains information originating from departmental applications and as a result has no ownership of the data. Two challenges exist here – communication between multiple systems, and data erosion in long running processes. Content data acts as an Esperanto between applications and end users. Status values in one application typically are not the same as in another, for instance ‘Active’ in system 1 versus ‘A’ in system 2. 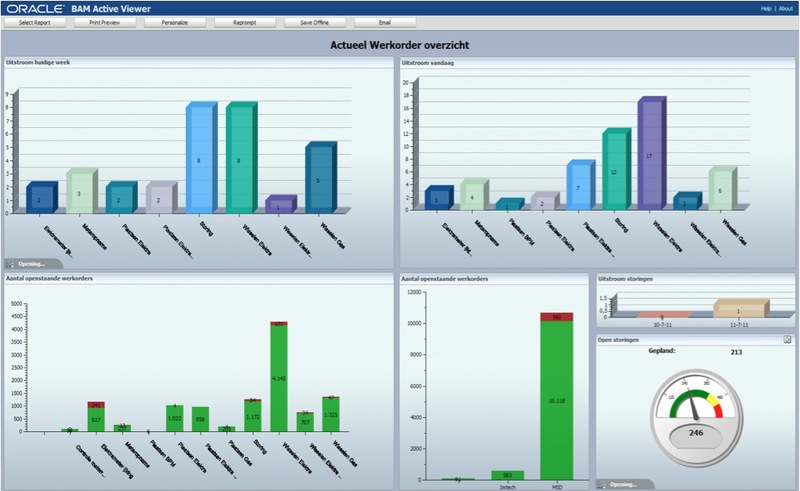 As a result the BPM solution should contain transformation functionality. Due to the ownership of data by departmental applications, these applications are allowed to change data as they choose. When this data is stored in long running processes, data erosion happens. The data loses its validity, resulting in incorrect data being presented to end-users, or passed to other systems. A solution in avoiding data erosion is to only keep the minimal amount of content data needed in the process. Process Owners and departmental stakeholders both have Key Performance Indicators (KPIs), which can be assigned to the process. Related to these KPIs is process steering, process run-time and content data. KPIs often need to be measured at run-time in Dashboards, so a real-time refining process of the process data is needed. Management or Tactical data involves gathering data in the long run, identifying what happened in over the last months and years. This is ‘good old’ Business Intelligence (BI) and helps in identifying trends and setting forecasts. The process content data is related to the communication model between all the involved applications. Before the actual process design starts most of this model must already be defined. Pre-defined industry models can be used, and often must be tailored to the communication model at hand. We all know what GDPR is now but how will it impact our customer experiences?